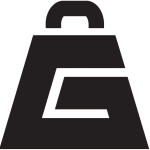 Fill out the following to learn more about GYMLETE. Additional Comments, or Questions Please enter a message. I consent to receive digital communications from Gymlete. I understand I may change my preferences or opt-out of communications with Gymlete at any time using the unsubscribe link provided in Gymlete email communications. Please check this field.